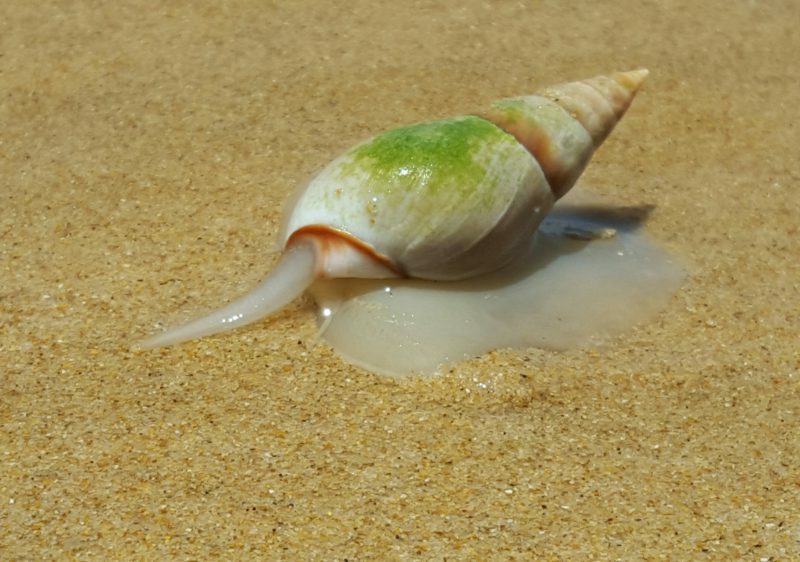 My daughter called this one the “king of all snails on the beach”. A rather large plough snail compared to the others on the beach – close to 50mm. Hurrying along to feast on the bluebottles being washed up by the wind.